Join us to find out more about Challenging Far Right Policies in at the NHS at our event on 30th April – book a space today. In October 2017 the Government introduced regulations forcing NHS Trusts to check patients ID and charge people upfront for care. We’ve seen untold harm caused to people trying to access the care they need since. From the Windrush scandal and Sylvester Marshal being billed £54,000 for cancer care, to Trusts sending debt collectors to harass destitute mothers – and, as we predicted, people are being deterred from seeking care. 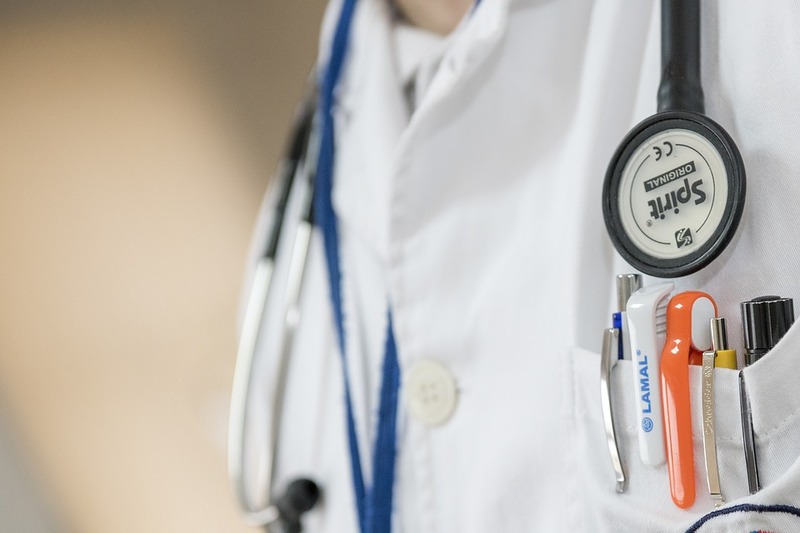 There has been a huge amount of resistance from healthcare workers and patients, with mass demonstrations, the returning of medals, and healthcare organisations holding the government to account. 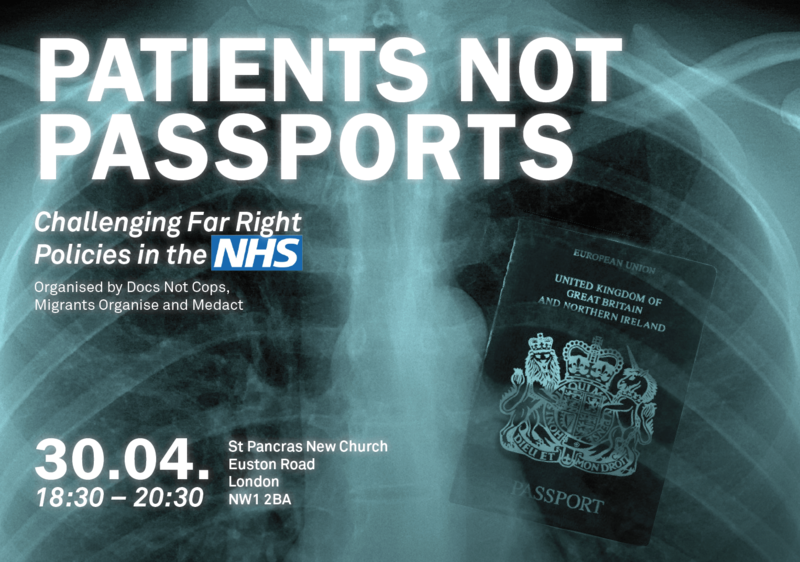 To learn more about immigration checks and charges in the NHS, how you can take action as a healthcare worker, support people in your community, or start a campaign where you are, check out the Toolkit we have created with Medact and Migrants Organise at: patientsnotpassports.co.uk. Join us in reversing this hostile environment policy and removing upfront costs to the NHS. We believe in #PatientsNotPassports. Check out our list of Upcoming Events. If you’d us to speak at your event or run a workshop where you live, get in touch.